I always say that I love a good sale and I really do. As someone who has a very large family, I always look to get the best value for my money. 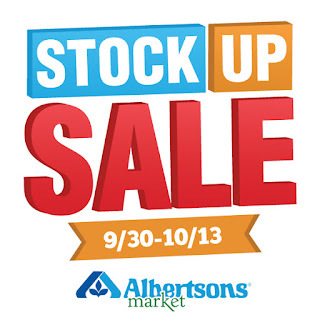 Lucky for me Albertsons always has a great sale and this time I got to stock up on General Mills products. Some of these items are those everyday staples that we eat every single day. Since I got extras, today I want to share with you one of my favorite treats. For those who don't know, a Bionico is a dessert that originated in Guadalajara, Mexico. This is where my family lives in Mexico, we are from Guerrero but everyone lives in Guadalajara It is the most amazing fruit salad that's very rich and very sweet because it is made with sweet condensed milk and fruits that are in season. I love fruit salads but I rarely get to enjoy a Bionico because nobody in my area specializes in this type of dessert. It is on the rare occasions that we visit Los Angeles that I get to enjoy an authentic Bionico. They are sinful because of all of the delicious fruit plus sweet condensed milk. My version of a Bionico is going to be a lot healthier than the traditional one because I will be substituting the sweet milk with Yopliat Greek 100 Vanilla. This yogurt is delicious so you won't miss that sweet flavor, and it won't have as many calories. There is no way to mess up this recipe. 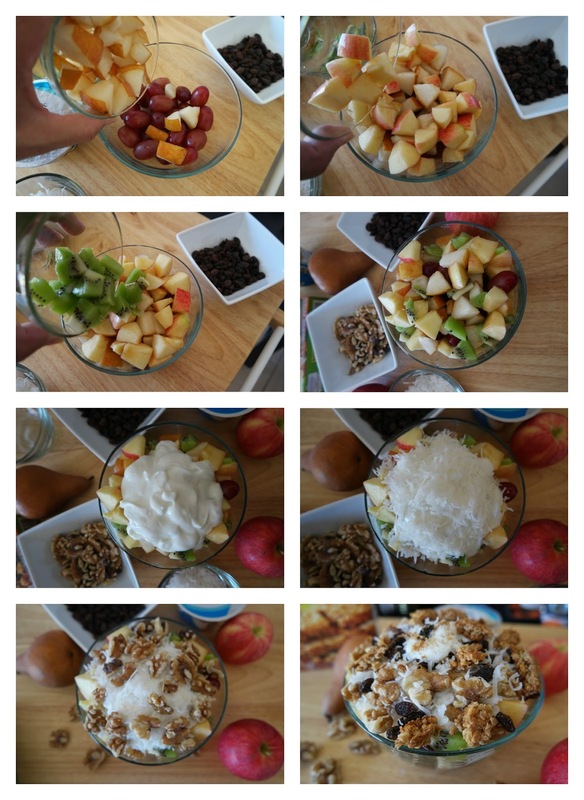 Simply take your cut fruit and divide it into to equal bowls. During the summer watermelon and cantaloupe are heaven in this recipe but this time I made up for them with Kiwi! Yum! Now take the Yoplait Greek 100 Vanilla and spoon out half and half into each bowl. Now we get to generously add the toppings. Top with a handful of shredded coconut, raisins, walnut and 1/2 a cut up Nature Valley Crunchy Oats N Honey Granola Bar. Between all of those flavors and textures, you're going to think you've died and gone to heaven. Creating recipes like this bionico gives me the perfect excuse to stock up on General Mills products. The Albertsons Stock Up Sale runs until 10/13 so stop by today. I hope you get to try out this recipe and that it brings you as much joy as it does to my stomach. Fruit, yogurt and my favorite granola bar, you simply can't go wrong. What General Mills products will you be stocking up on?